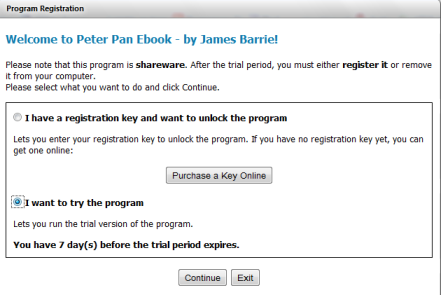 Trial Version of your Ebook or not? A trial version allows your future customers to have an overview of your work before buying it. 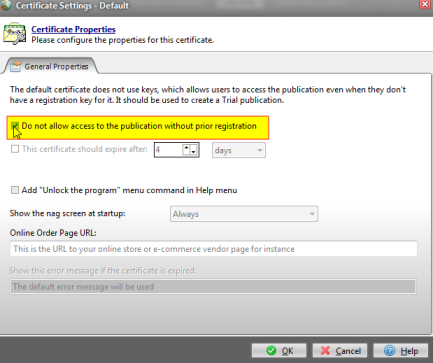 You can also choose not to give access to your ebook without prior registration. It is the same exe file for trial and registered versions. If your customer does not have a registration key, he will never be able to access to the registered version. Now, if your user purchases a registration key, you will not have to send him another file. He will just have to unlock the ebook with the registration key you give to him or the one he obtained when buying online (depending on the registration method you choose). 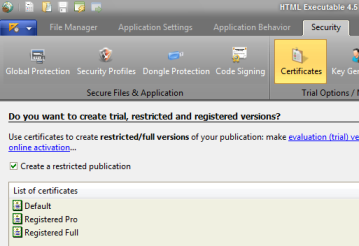 Don't want to offer a trial version?